Thundering clouds, lightning, and then the much-awaited downpour. The rainy season brings with it the respite everyone craves for after facing blistering heat during the summer. Yes, rains do bring their share of problems but we tend to look at the positive side, don’t we? The inability of car drivers to adjust to the changes on the road due to rainfall was termed as a key reason for accidents as per a survey in Mumbai. Mumbaikars termed driving during the rainy season as one of the worst driving scenarios. Don’t let the monsoon affect your driving, read ahead to know how to prepare your car for the rainy season. You can opt for body coating depending on the age of your car. Also, the intensity of the rainfall in your city can be taken into consideration. You can opt for paint protection, underbody coating, and more importantly anti-rust coating. This can be done from vehicle manufacturer’s service center. A good braking system helps you keep a safe distance from other cars and avoid accidents. Often, brakes are the difference between an accident and a safe trip. Your car’s brakes are challenged in slippery conditions. It is a good practice to get your car’s brakes checked before the rainy season. Squealing and grinding noises while braking is a warning sign, and you must get your brakes checked immediately in such a case. Proper brakes but improper tires cannot bail you out of trouble. Both have to work in harmony. Your car needs good traction on wet roads and correct tires provide that. Also, keeping a spare tire in your car is a good habit. If your tires have become old and weary, then they surely need to be replaced with new ones before the rainy season hits its peak. Imagine you are seated in your car which is stuck in traffic and your car’s battery dies! No one wants to be in that situation. If your car’s battery has crossed the three-year milestone, it should be examined by a professional mechanic. Trying your luck during a sunny day is a different thing but it is always better to get your battery checked before you hit the road in the rainy season. You can get your car’s battery checked at almost any garage. You can also opt for engine cover in monsoon, read the importance of having engine protection cover in insurance. Third-party liability insurance is mandatory if you want to drive your car on Indian roads. However, it does not protect your car from financial losses in case of unfortunate events. For a bit of extra premium, you can get a wider insurance coverage than a third-party liability policy by opting for comprehensive car insurance. 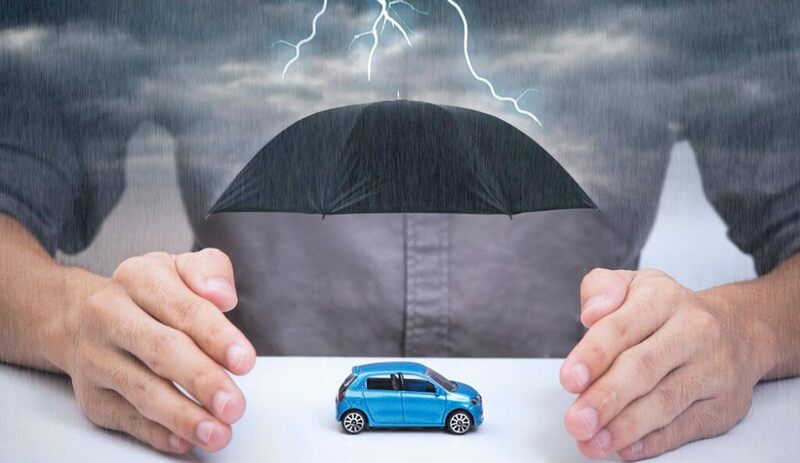 With a comprehensive car insurance cover, you can also go for add-ons such as Car Roadside Assistance and Car Engine Protector Cover which can be extremely handy during the rainy season. People do some kind of vehicle prep work before every season but it gets more intense before the start of the rainy season. Follow the above-mentioned points to be prepared and avoid the monsoon struggles.